Nationwide, appraised values came in 0.78 percent lower than homeowners expected compared to 0.50 percent in February. Quicken Loans Executive Vice President for Capital Markets Bill Banfield said that there's more than one reason behind this sudden increase in the gap between estimates and values. 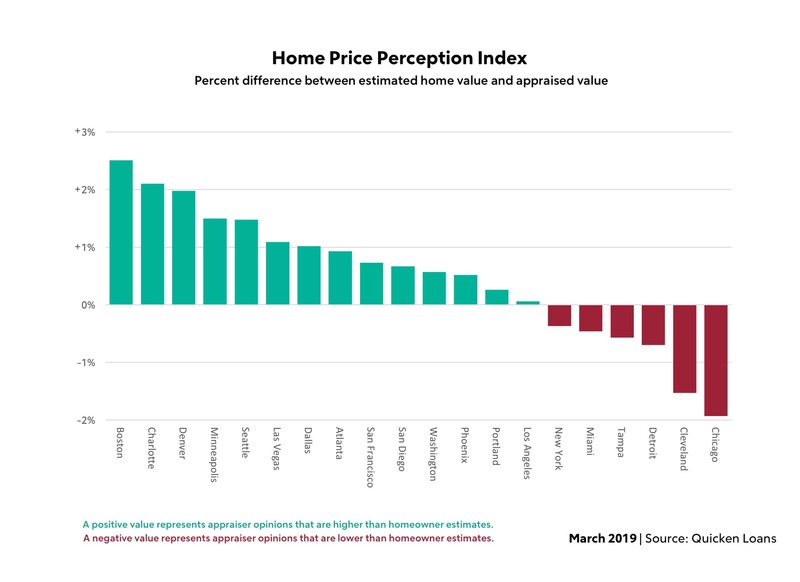 "This month's fluctuation in the HPPI was driven more by a dip in home values than a change in the owners' viewpoint. Homeowners are often reluctant to believe their house has lowered in value, even at a slight monthly fluctuation," he said. 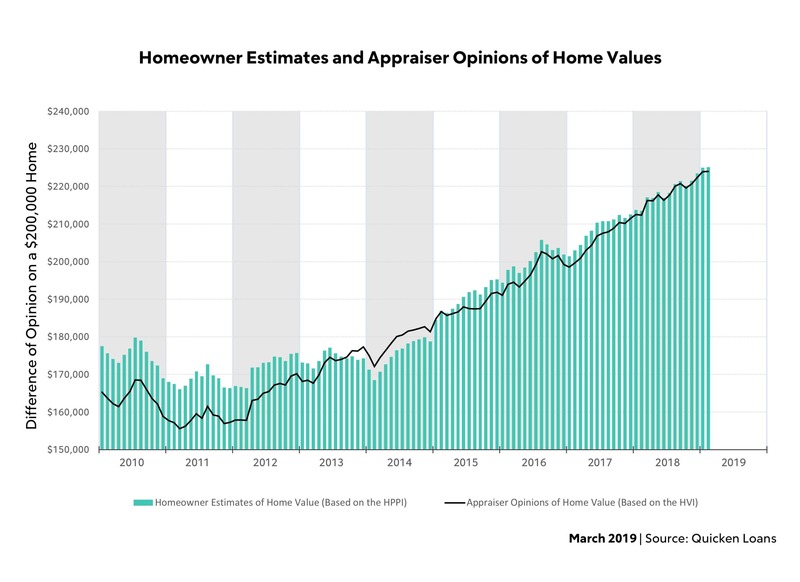 "Depending on the area, appraised values are either growing at a much more measured pace or have taken a step back from their meteoric rise. Homeowners are usually slower to realize change - in either direction - than the appraisers who study the market on a daily basis. This can lead to a slight widening of the perception gap when there is a turn in the market." Banfield added, "Some of the rampant buyer demand that we've seen over the last few years has subsided because of the affordability issues many areas are having, driven by a lack of availability," he said. "Would-be buyers have decided to sit on the sidelines to see if more home inventory becomes available at the price-points where they're shopping. The entire housing industry is watching to see what will happen in the coming months - whether owners and builders will provide the home inventory the buyers have been waiting for, amid the recent drop in interest rates."